Bihar Board result for 12th students has been declared. 79.76 per cent students have passed in the board exam this year. Bihar Board Result 2019:Bihar Board result for 12th students has been declared. A total of 13,15,382 students registered for the 12th board exams in Bihar this year. Total 10,19,795 students passed this year. 79.76 is the overall pass percentage this year. 93.02 per cent students have passed in Commerce stream, 76.53 per cent students have passed in Arts stream, and 81.20 per cent have passed in Science stream. The result link has also been activated on the website and students can check their result now. The Bihar Board 12th result was announced by the board's chairman Anand Kishor at BSEB office in Patna. This year the board prepared the result in record time of 28 days after beginning the evaluation process on March 2. The board chairman informed at the result press conference that after taking cognizance of the moderation policy practiced by several state boards, Bihar Board too implemented its own moderation policy which is a first for the state board. The board chairman also credited the boards IT team responsible for the various software which made preparing the result easier and tidier. The changes introduced by the board in terms of evaluation and changes in question paper pattern ensured that this year Bihar Board toppers were able to score above 90% marks. In Science stream there are two state toppers, Rohini Prakash from Nalanda, and Pawan Kumar from Arwal have secured 94.6% by scoring 473 marks. There are two second toppers as well, Satyajit Suman and Subhakar Kumar who have secured 94.4% with 472 marks and the third topper is Md. Ahmad from Katihar who has secured 94.25% with 471 marks. In Arts stream, again there are two state toppers - Rohini Rani from Bettiah and Manish Kumar from Gaya- who have secured 92.6% with 463 marks. There are two second toppers as well, Vikash Kumar from Bettiah and Mahenoor Jahan from Kishanganj who have secured 92% with 460 marks. In Arts stream, third toppers, Harshita Kumar and Nishkant Jha, are both from Simultala Awasiya Vidyalaya, Jamui and have secured 91.6% marks with 458 marks. In Commerce stream, Satyam Kumar from Shekhpura has topped with 472 marks and 94.4%, Sonu Kumar has secured second rank with 470 marks and 94%, and Shreya Kumari has secured third rank with 469 marks and 93.8%. The facility for scrutiny of result will be activated from April 3, 2019 to April 12, 2019. The application process will be available on the board's official website. 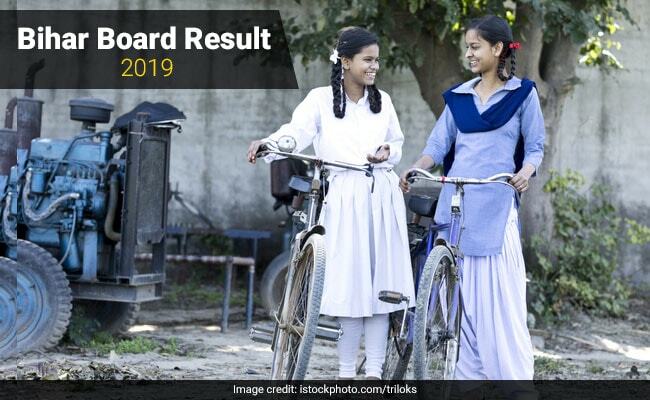 Bihar Board 12th Result 2019: How to check? Step one: Go to any of the following websites: www.biharboardonline.bihar.gov.in or www.bsebinteredu.in. Step two: Click on the Bihar Board result link for intermediate 2019 exam. Step three: Enter the required details. Cross check the information before you hit the submit button. Step four: View your result and download your score card. Bihar Board 12th Result 2019: How To Check On Mobile Phone? The marks sheet and passing certificate will be made available through the school and information regarding this will be released soon. Students who are not satisfied with their Bihar Board 12th marks can apply for revaluation while those who have not qualified can appear for the compartment exam. Now that the Bihar Board 12th result has been released, the board will begin degree admission process through its OFSS portal.